1982 45 RPM single "Can't Run Away from Love" " Shes Rock"
1982 45 RPM single " Alien Probe " "Its Not so Easy"
1983 45 RPM single " Never To Late" " Radio Rock"
1985 45 RPM single " Make Believe"
1987 45 RPM SINGLE "MIDNIGHT CONFESSIONS' " THIEF IN THE NIGHT"
1988 45 Single "Footsteps" "Thief in the Night"
1991 Single "85 miles per Hour"
1991 SINGLE " SOMEDAY YOU'LL COME RUNNING"
2000 Best Of Airkraft " Greatest Hits CD"
mITCH VIEGUT WITH " JOHNNY AND THE MOTONES"
For immediate release: 4 15 2013 Johnny & The MoTones Enter Charts The brand new release by Johnny & The MoTones, Shake It, is in the World's Blues Chart, this week at #38 (fourth week total) and climbed to #1 on the Wisconsin Music Chart. The recording has also crossed over to the Americana Chart having appeared there for several weeks. Shake It is also currently #3 in sales for Jump Blues at Cd Baby. On March 15 Johnny and the Motones Realease their 4th cd entitiled, Shake It. "Shake It" has hit Roots and Blues radio by storm hitting the top 37 in the world within 4 weeks. Mitch Viegut quotes, "this is a swing blues cd with a little more edge. John and I put hundreds of production hours in the studio working on horn arrangements, vocals, instrumentation to get that right sound." The Cd Features Wisconsin home roots influences like the Altenbugh composition "Shake it" that talks about Mosinee's "Beans Eddy" and other Wisconsin Valley people & places. Altenburgh sang and wrote six of the selections, including the song "Wonderful," whom he co-wrote the lyrics with daughter Ellen Altenburgh. Swimming Hole, the opening cut from the Cd, has been played on over 300 stations around the world, is a story of a local Wisconsin place we have all been to, Our local pond where someone gets caught skinny dippin. It is one of six of the 13 Songs on the release that were penned and vocalized by Viegut. Current member Mitch Viegut recently shot video in New Orleans for the upcoming song " Row Me Down the Muddy Mississippi" a video that will feature New Orleans Streets musicians and performers. Viegut tell us " it was quit an experience hanging with hundereds of street musicians and having the play music with me.The diversity and ethnicity of the music and area is amazing!" 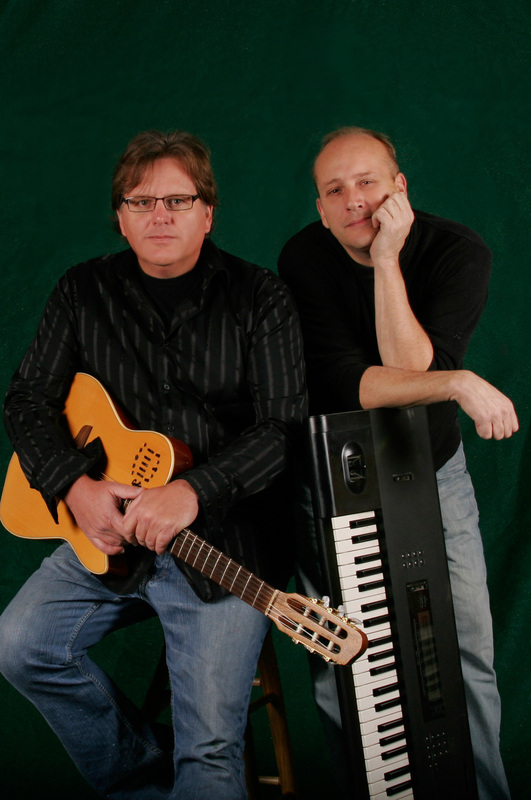 Johnny and the MoTones is based out of Central Wisconsin and it's current line-up for Shake It include; John Altenburgh (piano, organ & vocals) and Mitch Viegut (Guitar & Vocals) who each contributed six songs to the album with trumpeter, Bob Kase, contributing one. Other contributors include: Ryan Korb, drums; Bruce Lammers, bass; Paula Hall, vocals; Chris O'Keefe, guitar and John Greiner, tenor sax. Cameo appearances by Otis McLennon and Ann Applegate. This is the group's fourth recording and the fourth straight album that Johnny & The MoTones has appeared in the World's Blues Charts. " Shake It " is available on all major downloadable sites including itunes. Shake It has been aired on numerous syndicated blues shows heard around the world including: Blues Deluxe http://www.bluesdeluxe.com/ "Happy to play it. Another nice album from you (Johnny) and the guys!" -David Johnson BLUES DELUXE" Syndicated Blues Show, 105 Stations Smoke Stack Lightening (Twice) http://www.smokestacklightnin.com/Default.htm Confessing The Blues (Three times) http://www.confessingtheblues.info/listen.htm "Rest assured Johnny & the Motones will be on "Confessing the Blues" playlist soon and for weeks to come." Born in the basement of an EauClaire household, high school buddies Mitch Viegut and Dave Saindon formed Airkraft in 1982. 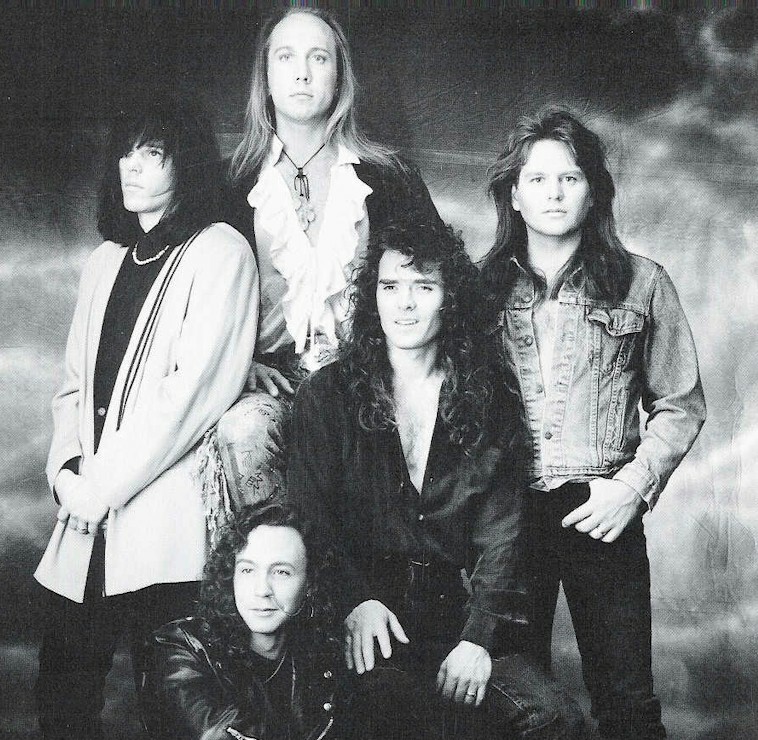 Early members included Drummer Mike Wood and Keyboardist Dave Roll in addition to Bassist Peter Phippen. 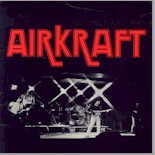 In 1982 Airkraft released their 1st Single “Alien Probe". Radio stations and fans embraced the new sounding song. 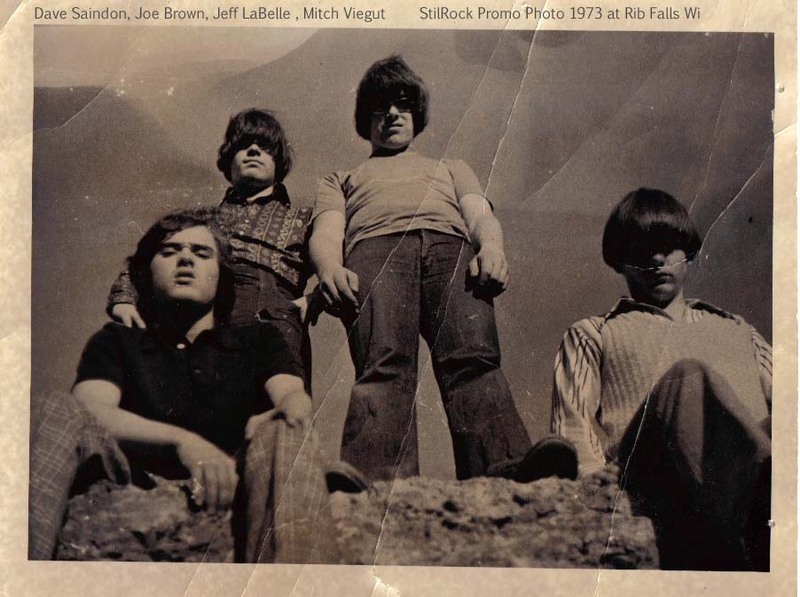 John Price of the Leader Telegram writes in 1982 "Ask any college kid who is their favorite band and you'll hear Journey or Foreigner , but ask any junior high or high school students in this area who is their favorite band and chances are the reply will be Airkraft". 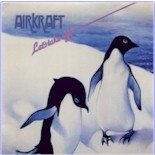 Soon after the Air Kraft released their first LP “Let’s Take Off”. Two other 45 rpm single releases " Can't run away from love" and "It’s not so Easy" followed from Lets Take Off with strong Wisconsin airplay. 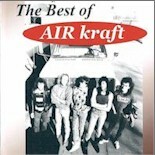 1986 Airkraft release " Proximity" with the 45 single "Make Believe" wich soon became the number 1 song on many Wisconsin radio stations. Other singles released from the Proximity LP were "Radio Rock" . In 1985 45 rpm"Never to Late" was released on single only.. In 1989 Airkraft started touring heavily across the Midwest, logging over 310 performances per year! Places like Wichita KS , St. Louis Mo and seemingly every other town between became everyday travels. 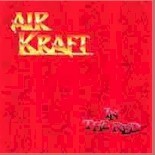 Soon the self entitled "Airkraft" LP and CD were released.. 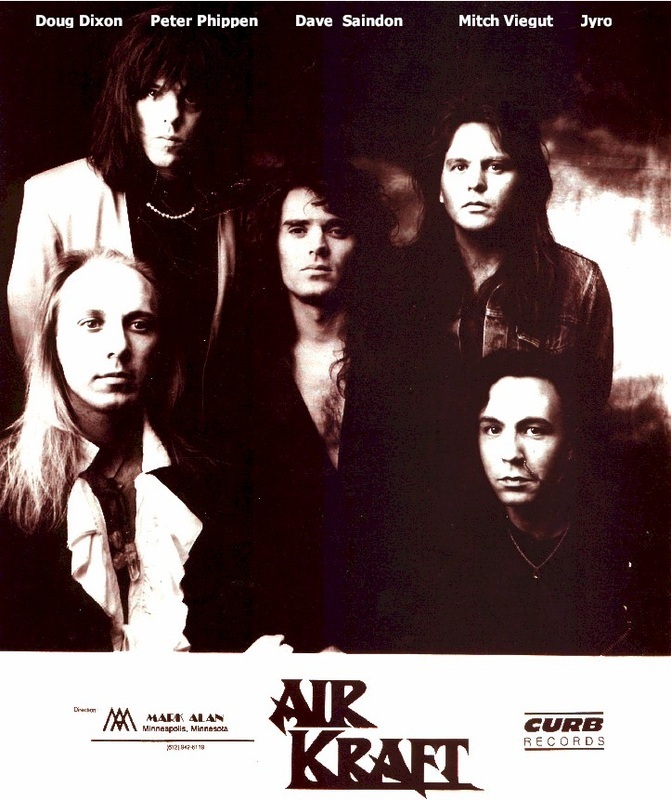 The first single from Airkraft Air kraft "Footsteps" received strong critic’s picks in national magazines and started the group with a new allegiance of fans.Airkraft continued performing in every major market in the Midwest from Denver to Indianapolis , St Louis to Minneapolis promoting the record. Constant touring built legions of fans and many great friends in radio and at performances many who still keep in touch today. 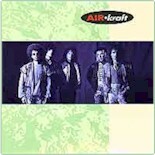 In 1991 Airkraft signed with CURB records and added to their original songs a version of the Judith Randall penned 'Someday (You'll Come Runnin'), previously covered by British outfit FM on their 'Tough It Out' album and another track on the 'In The Red' album, namely 'Love Has No Mercy', whilst the team of SURGIN's Jack Ponti, Vic Pepe and STAN BUSH contributed 'Heaven'. "Someday You’ll Come Running" was the CD's first single and received great reviews nationaly in the Album network. The second single released was written by Mitch Viegut called" Somewhere" was added on over 130 US stations topping out in Gavins Radio reports top 40. Billboard magazine gave "Somewhere" the critics pick and "In The Red" began selling well in Europe and well as America. Gavin Report, Radio and Records followed Britain’s Boulevard, Germany's Kerrang, Japans BURN magazines with five star reviews and sales boomed overseas. Soon after "Feed me to the Fire" was picked up to be FOX Televisions FIRE RESCUES theme song. Critics who saw Airkraft live always gave rave reviews. Bruce Vance of Madison news said it well "I was expecting a band to sound anemic like Journey and Foreigner, but I soon realized these guys don’t need to ride the coat tails of anybody, Airkraft is an exceptionally talented band that has a sound, style and appeal all their own" . In 1995 Airkraft fell to the changing sounds of music and performed its final show opening for Cheap Trick, Jefferson Starship and Pat Benetar.